A number of people have developed the use of PC graphics cards for presenting 405 line and 240 line signals to old televisions. Below is a description of the method I have used. I would like to acknowledge and thank some of those whose work has made this possible: Jeroni Paul for his PC application for graphics card control and for his very helpful assistance with the specifics, Kat Manton for conceiving the method, Jim Beacon for demonstrating the feasibility and Graham Rabstaff for demonstrating it from a PC. The scheme I have been using is simply a development of that devised by Graham Rabstaff. My methods differ regarding the sync pulse generation and also in the application of sources. The present scheme works well but doesn't generate the correct sync pulse stream in accordance with either the EMI 405 line standard nor the 240 line standard of the Baird system. 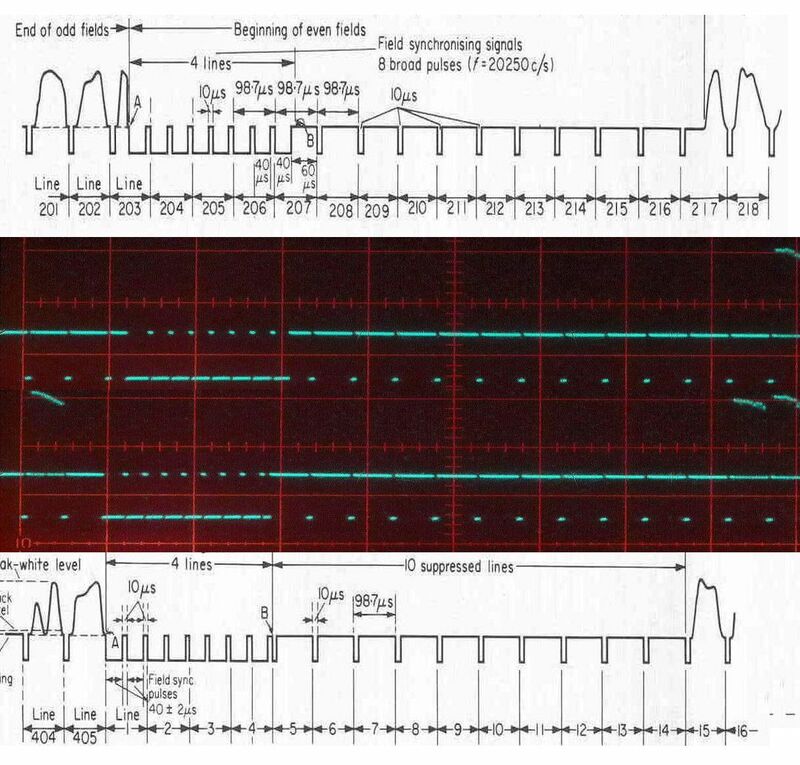 The Baird system did not specify any line sync pulses during the frame pulse and receivers needed a method of maintaining correct line frequency in the absence of sync pulses. In the case of the EMI sets some additional circuitry and a valve (V8) were required to be switched in for 240 line operation. 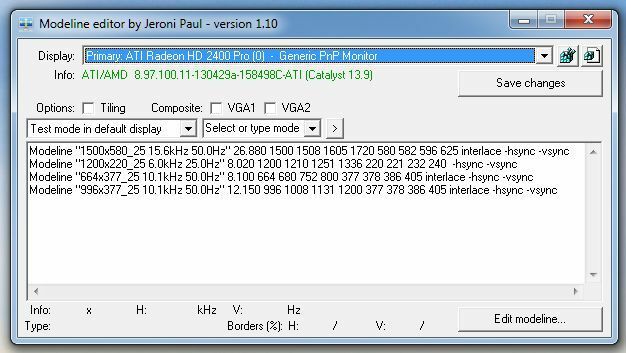 The graphics card source does continue to generate line sync pulses during the frame sync pulse so there is no need for the additional V8 circuitry. The graphics card syncs do differ in two respects from the EMI 405 line standard and this can cause rather critical line frequency adjustment or hooking at the top of the picture in older sets that don't have flywheel sync. The existing composite sync is simply generated by exclusive OR of the line and frame pulses but the resulting inverted line pulses within the frame sync are slightly delayed relative to their correct positions. There is also no half line pulse stream. The latter is not essential but a simple monostable circuit can correct the pulse positions and add the half line pulses. See Here. The use of monostables is not very exacting but the odd and even frame syncs shown below are what I am using and are a fair representation of the spec. 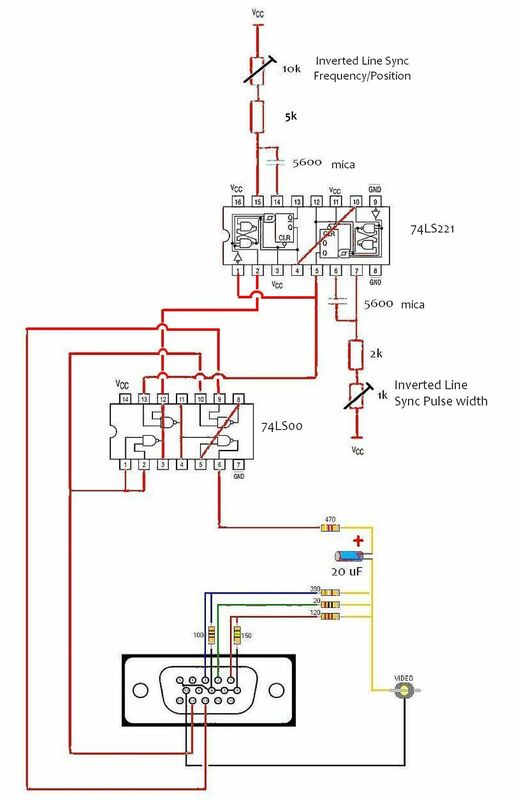 To use this circuit the Modelines need to be changed such that the Composite Sync box should be unticked and the +hsync references should become -hsync. A graphics card with two VGA outputs. 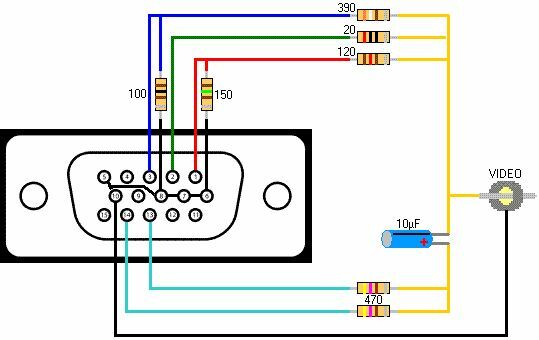 In practice this generally involves a card with a DMS-59 connector and splitter cable giving the DMS to 2 x VGA connectors. The sound signal is simply taken directly from the PC speaker output to the input of the sound modulator. A PC with a PCIe x16 motherboard slot. After downloading the Modeline Editor you will need to sign in to your PC as administrator and have ability to edit the registry. Having loaded the Modelines using Jeroni Paul's editor as in the first picture below, you don't need to use the Modeline Editor from now on. 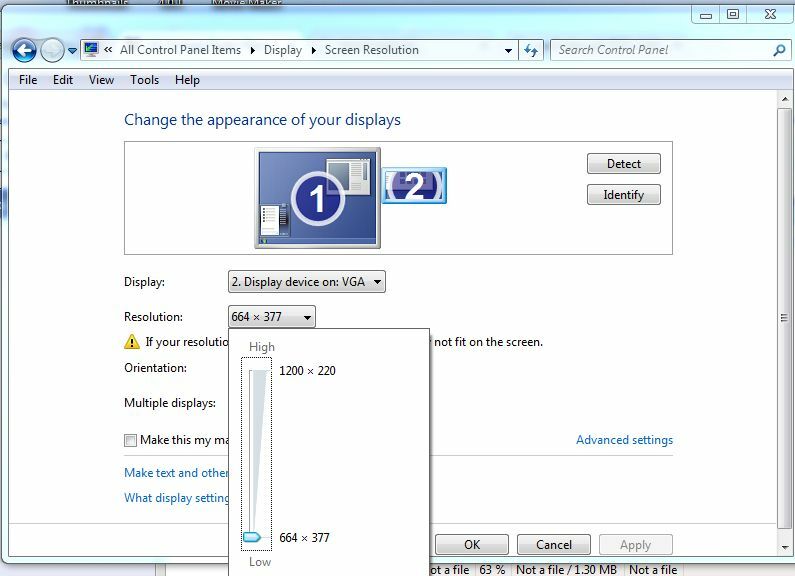 If you want to switch line rates then you use your Windows Control Panel, Display, Change Display Settings then select your Number 2 display and select the resolution you require. If you want to display video material the freeware application VLC Player works very well. You do need to make a little change to the pixel aspect ratio and so I have two shortcut icons on my Windows Desktop both pointing to VLC Player. Now if I want to display a DVD on a 405 line receiver I connect my Number 2 VGA port on the PC to my Channel 1 modulator and click on my 405 VLC Player. I select Media, Open Disc.. then in the new window "Play" and the DVD menu comes up in the window. I then drag that window over to the right and off my PC screen and into my TV screen. Then hit f to get full screen then position the cursor over the video to play and hit return. The playback controls can be conveniently detached from the full screen image such that they remain in the PC desktop screen by unticking "Embedded video" in the Video preferences. Static images can also be displayed and for that I use Irfanview. 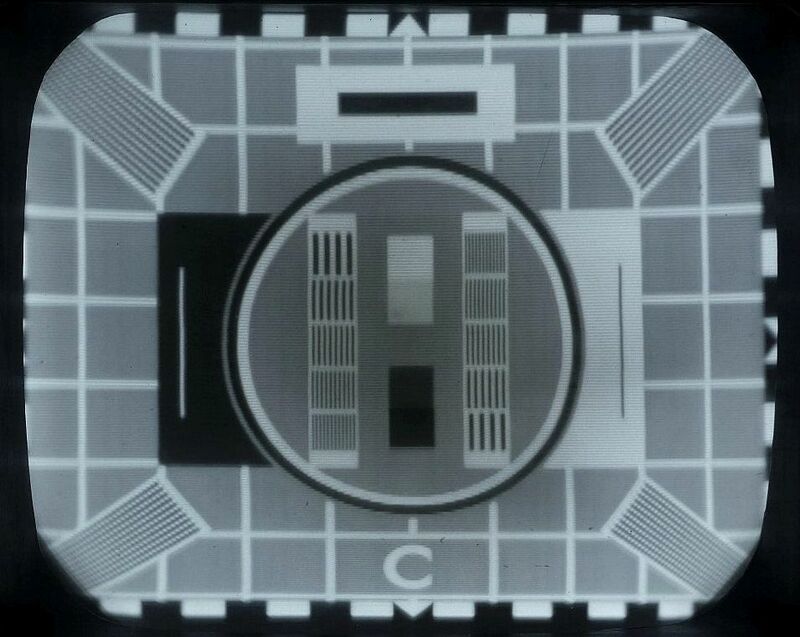 Looking at a photograph of a 240 line Baird image it appears to compare quite favourably with the 405 line EMI images but what you are not seeing in the still photograph is the very noticeable flicker from the Baird 25 Hz frame rate. See how engineers at Philips perceived flicker in November 1936 here. 1. Line sync pulses with exponential falling edges that initially rose to black level followed by another rise and fall resulting in a black strip down the left hand side of the picture. 2. 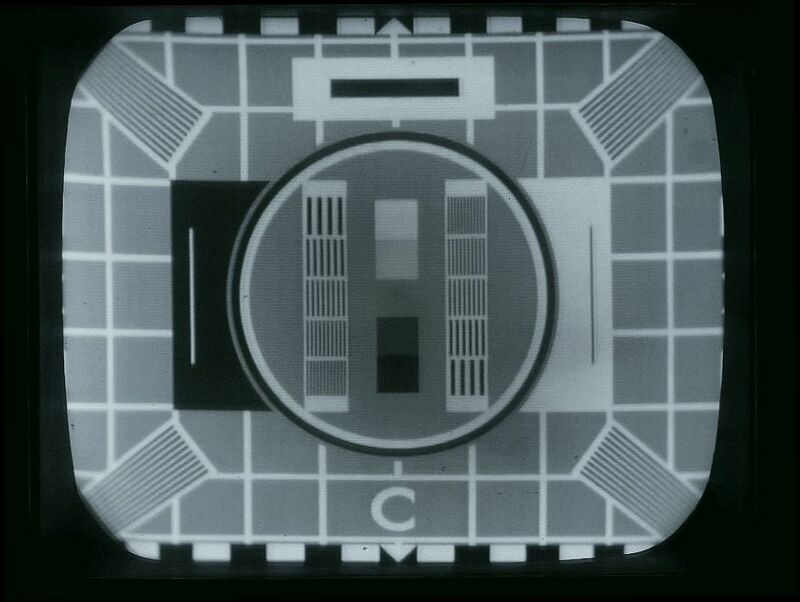 The holes in the scanning discs were not spaced equally resulting in ragged verticals. 3. The ratio of picture to sync pulse should have been 60:40 but in practice ranged from 50:50 to 40:60 resulting in insufficient contrast. 4. The frame pulses lasted for 23 lines instead of the 12 specified and there was no black barrier following the frame pulses. 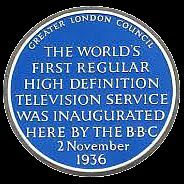 Did the BBC provide the world's first regular high definition television service ? That depends on how you define HD.